When will be Building Off the Grid: Alaska next episode air date? Is Building Off the Grid: Alaska renewed or cancelled? Where to countdown Building Off the Grid: Alaska air dates? Is Building Off the Grid: Alaska worth watching? 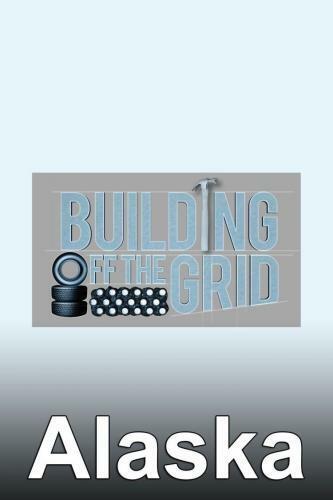 Building Off the Grid: Alaska is a spin-off from the original DIY series "Building Off the Grid". The Perrins brothers are building an extremely remote log hunting cabin in the heart of the Alaskan Range. Steve Perrins II, a native Alaskan, is heading up the build. He will lead his team, which consists of his four younger brothers and his wife, 13 miles on horseback into the deep wilderness of Sheep Lake where they have just two weeks to construct an entire single-story cabin. The build process will include the use of archaic tools, materials, and pioneering techniques throughout. In addition to their tight deadline, unpredictable weather, encroaching wildlife and the daily adventures of building in remote Alaskan will challenge their every will and wit. The Perrins brothers are building an extremely remote log hunting cabin in the heart of the Alaskan Range. Steve Perrins II, a native Alaskan, is heading up the build. He will lead his team, which consists of his four younger brothers and his wife, 13 miles on horseback into the deep wilderness of Sheep Lake where they have just two weeks to construct an entire single-story cabin. The build process will include the use of archaic tools, materials, and pioneering techniques throughout. In addition to their tight deadline, unpredictable weather, encroaching wildlife and the daily adventures of building in remote Alaskan will challenge their every will and wit. Building Off the Grid: Alaska next episode air date provides TVMaze for you. EpisoDate.com is your TV show guide to Countdown Building Off the Grid: Alaska Episode Air Dates and to stay in touch with Building Off the Grid: Alaska next episode Air Date and your others favorite TV Shows. Add the shows you like to a "Watchlist" and let the site take it from there.